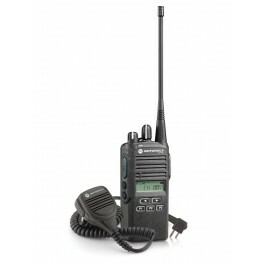 Nova Communications carries the best selection of VHF devices on the market, priced with value in mind. Whether you’re looking for marine radios, handheld radios, or other applications that require dependability and durability across distances and under varying conditions, VHF radios are an ideal solution. We carry the leading brands so that you know you’re getting a reliable product. That’s what peace of mind is all about for your business, one less thing to worry about. View our selection and you’re sure to find the size and configuration you need. If you don’t see it here, let us know and we can source it for you or find you the best solution. 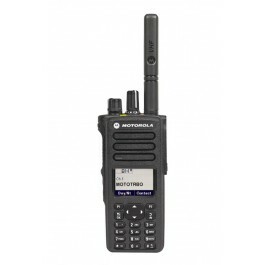 Motorola XPR3300e MotoTRBO Digital radio are built for customers that need the functionality of digital and durability of Motorola radios. This radio, designed for skilled work environments is a high performing two way radio with a number of new features from the previous XPR7550 radio. 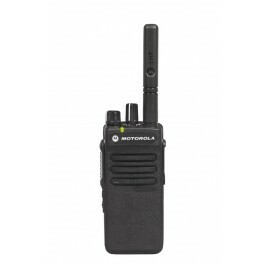 If your goal is to keep your organization connected, safe and productive, then this two way radio, one of the toughest options out there, is built for you. Durable, Reliable, Rugged, the Motorola CP200D is a great Two-way radio for organizations that need easy to use and dependable radio. 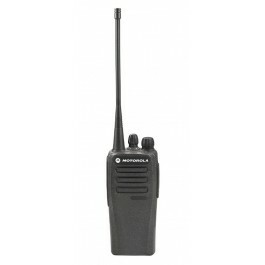 Motorola CP185 offers reliable, instant, two-way radio communications for organizations on the go. 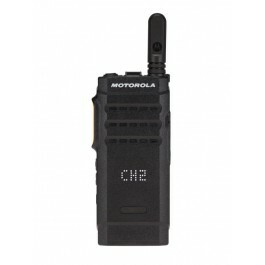 Motorola SL300 is a compact ultra-slim package with the durability and ruggedness that is expected from Motorola radios. Rugged (Military Spec)More than normal wear and tear—risk of dropping. Intrinsically SafeWill your radios be used in gas or combustible locations?